APHA held its annual general meeting on May 9th at the University of Calgary, immediately after a very successful 75th anniversary event. Thank you to all members who participated, either in person or remotely. Angeline Webb, a well-known public health advocate with the Canadian Cancer Society and a long-time APHA member, was affirmed as APHA’s new president. Webb takes over APHA’s leadership from Lindsay McLaren, a University of Calgary professor at the O’Brien Institute, who was president from 2014 - 2018. APHA also formally thanked two retiring board members for their invaluable service: Benjamin Kung, who served as Chair of our Governance Committee from 2014 to 2018, led the improvement of our bylaws, policies and procedures as well as board engagement and education efforts. Ben’s attention to detail and expertise in the complicated world of board governance will be greatly missed. Kenda Swanson, our Secretary and Chair of the Student Committee, kept us diligently on track for five years. As Chair of the Student Committee, Kenda also developed educational opportunities to help public health students navigate their academic and career paths, as well as networking opportunities to engage public health professionals. Kenda’s expertise with student engagement and her diligence in making sure we fulfil our actions items will be missed. Are you looking for an effective way to synthesize current evidence on a public health topic? Conducting a rapid review might be just what you are looking for! The National Collaborating Centre for Methods and Tools has developed a Rapid Review Guidebook that details each step in the rapid review process, including guidance on how to structure the report and what to include in each section. Click here to download the Rapid Review Guidebook. In the summer of 2017, over 6700 stakeholders and Canadians provided input to the second consultation for the revision of Canada’s Food Guide. Click here to see the results from the consultation. There is a proposal underway requiring FRONT-of-Package Nutritional Symbol for foods at or within the 15% Daily Value for sodium, saturated fats & sugar intake. Read the full report here. Heart and Stroke continues to work with tobacco control partners to advocate for plain and standardized packaging of tobacco at the federal level. Plain and standardized packaging would prohibit all promotional features on all tobacco packaging, including the use of colours, images, logos, slogans and distinctive fonts or finishes. Health warnings would remain. Please click here to send a letter by email to your MP. Patient Concerns/Complaints Resolution Provincial Framework: click here to read the this framework by the Health Quality Network of Alberta (HQNA). Informed Decision-Making for Labour and Birth: click here to read a position paper prepared by members of the Reproductive Health Workgroup of the Ontario Public Health Association (OPHA). APHA partnered with O’Brien Institute for Public Health to discuss how to advance Public Health initiatives in Alberta. Interested in joining your student public health association? The Alberta Public Health Association is celebrating its 75th anniversary in 2018. 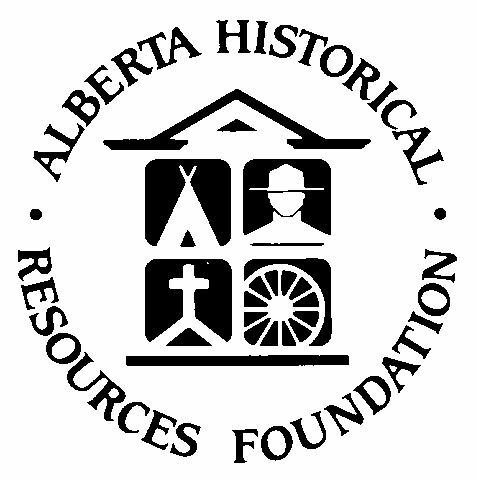 In recognition of APHA’s important history, we are pleased to present some materials from a research project titled “Public Health Advocacy: Lessons from the History of the Alb erta public Health Association, funded by a grant from the Alberta Historical Resources Foundation’s Heritage Preservation Partnership Program awarded to Lindsay McLaren, Kelsey Lucyk, and Frank Stahnisch. This larger project started in 2015 and aimed to examine the history of APHA from its 1943 foundation to the present day. We invite you to review our Narrative History, scroll through the List of Past Presidents, and consider the impressive breadth of Historical APHA Resolutions. We welcome feedback (including corrections) on these materials. Please send comments to apha.comm@gmail.com. Want to become a member? APHA has a voluntary membership representing a variety of disciplines including practitioners, students, representatives of government departments and non-government organizations, and community members. As of Jan. 1, 2019, APHA members will receive exclusive group discount pricing for home and auto insurance with Economical Insurance. APHA members who become new Costco members can receive a $10 Costco Cash card. Become an APHA member and get up to 20% discount on performance tickets to shows happening in Alberta! Currently on sale in Calgary & Edmonton: Beautiful: The Carol King Musical. Sign Up Here or Support the APHA by Donation.